International Christian Fellowship of Oulu (ICFO). We are a small international body of Christians living in Oulu, Finland. Some of us are students, some of us are foreigners from several nationalities, many of us are Finns. 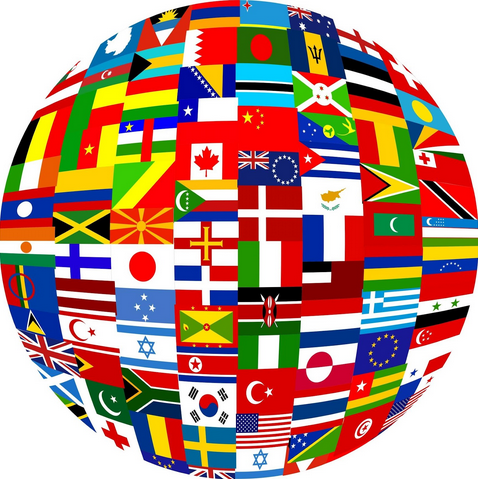 Our worship services and Bible studies are conducted in English. 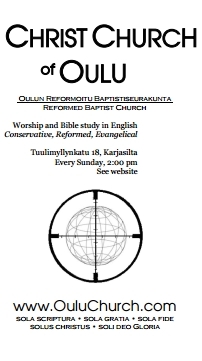 Christ Church of Oulu is Christ-centered and Bible-centered, conservative, reformed and evangelical in its theology. We meet every Sunday at 2:00 pm, unless noted in red in the announcements above. We enjoy the Lord’s Supper at our worship services. At the end of the Sunday meetings there is time for fellowship with some refreshment. Whatever your church tradition, theological convictions, or personal beliefs (or lack thereof), and whatever your nationality, you are warmly welcome! Please check the menu above for information on our beliefs, the location of our premises, local bus connections, and more. This website was created in 2013. The origins of our church go back to 1992-1993.